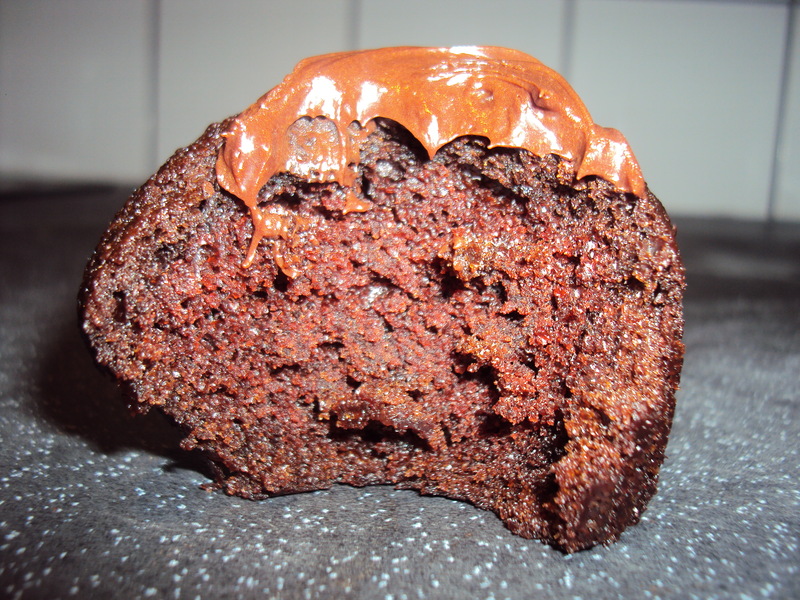 This is my no-fail recipe for delicious chocolate sponge cake. For cupcakes or bigger celebration cakes, it’s a winner! I’ve always loved baking & found it easy and relaxing, but when I turned vegan I found out I was really struggling to make the simplest sponge. 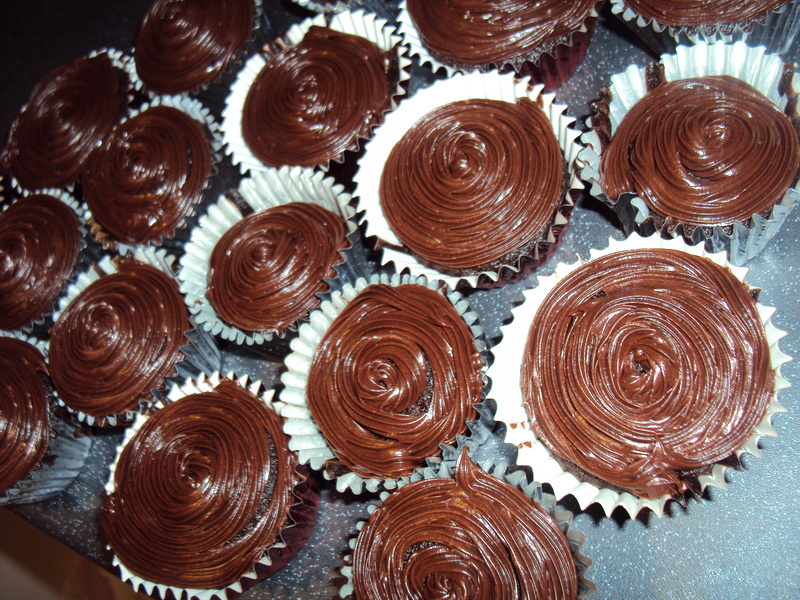 Using egg replacements & other substitutes, I found my cakes drooping in the middle, or being crispy outside but raw inside!! I used to be able to make cake Daleks! What was happening to me? 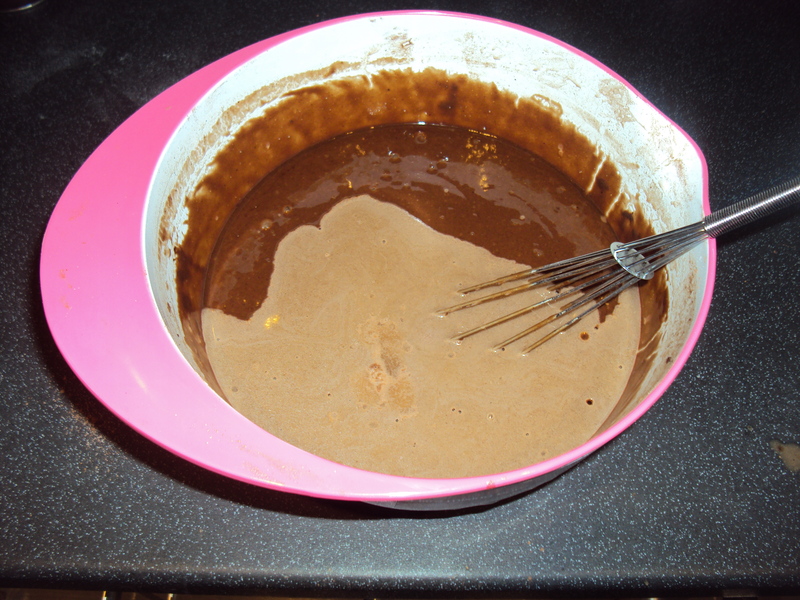 Was this the end of easy baking?Well yes, for a few weeks whilst I kept trying replacements and substitute methods, with little success and lots of issues. Then, I found the delights of oils and cider vinegar. (Yes, vinegar!!) Once I gave up trying to replace everything, I found the perfect recipe, this one had been adapted from the “Six Minute Cake” by The Moosewood Restaurant – It’s been perfect for me & I hope it serves you well too. 1. Heat your oven to just under 190C or Gas Mark 5. 2. Using a jug or beaker with a few cup measurements on it, make 1 cup of coffee & let it cool. 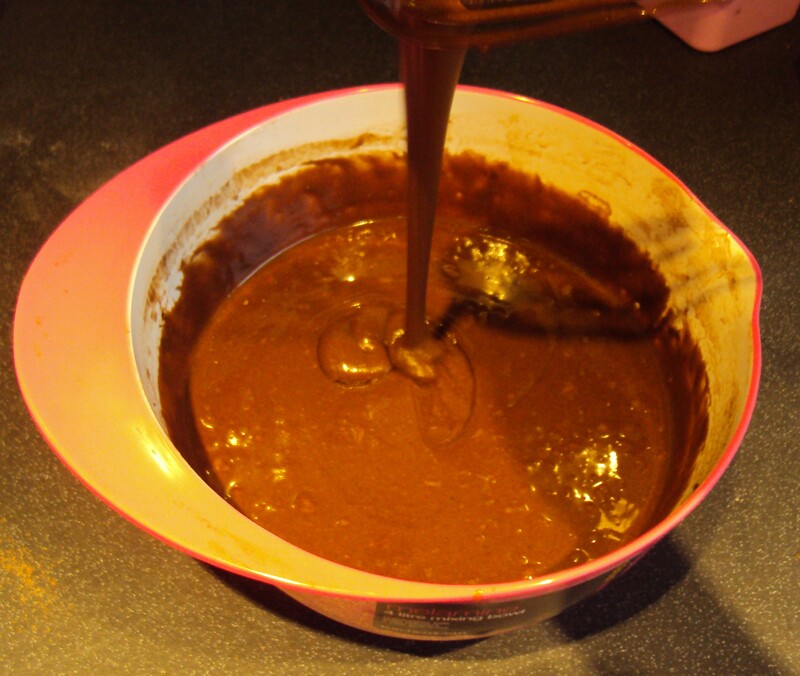 3.Sift the flour, baking powder, cocoa and salt together into a bowl and put aside. 4. Return to your coffee cup and add the vanilla and vegetable oil. Watch out for the lava lamp style reaction from the water and coffee! 6. 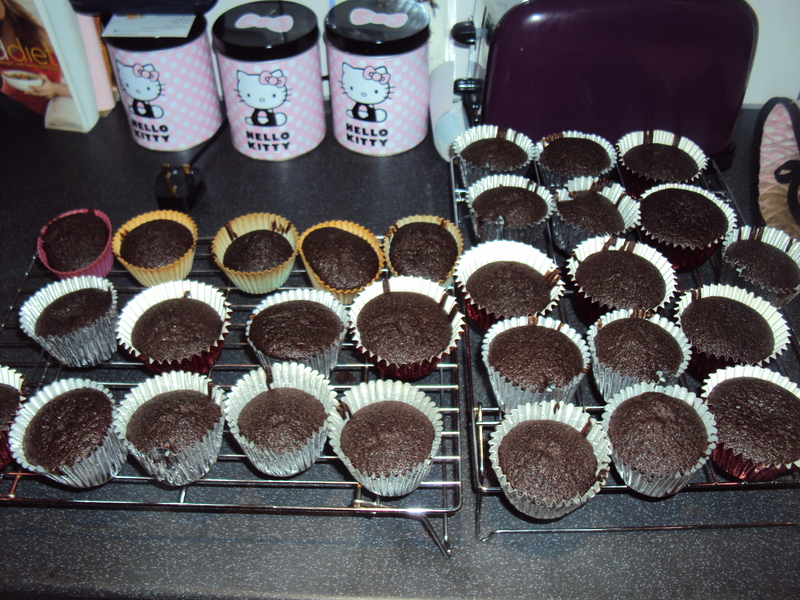 Finally, ensure everything is ready to go, your tray is lined with cupcake cases and all other prep is done. You want to add the vinegar right at the last minute. 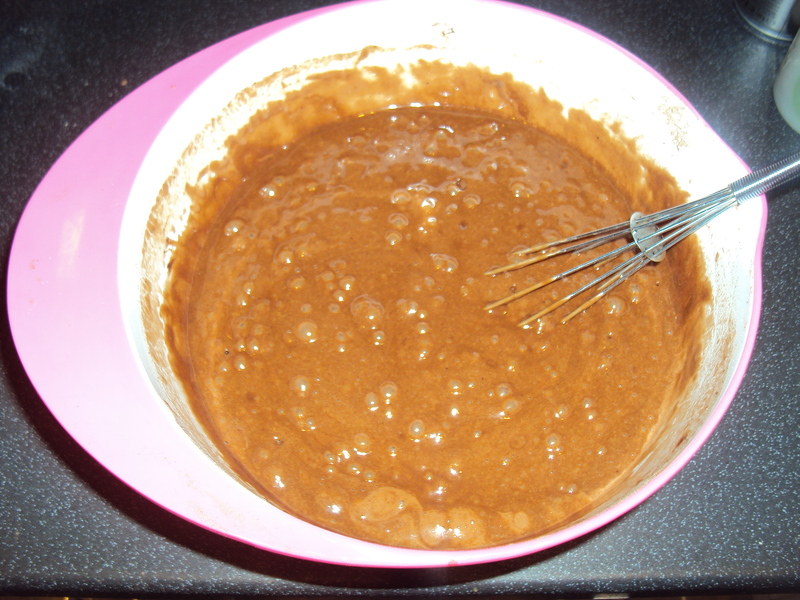 Pour in and stir it through, be warned, it will do funky things…..
Vinegar added to the batter, changing colour. 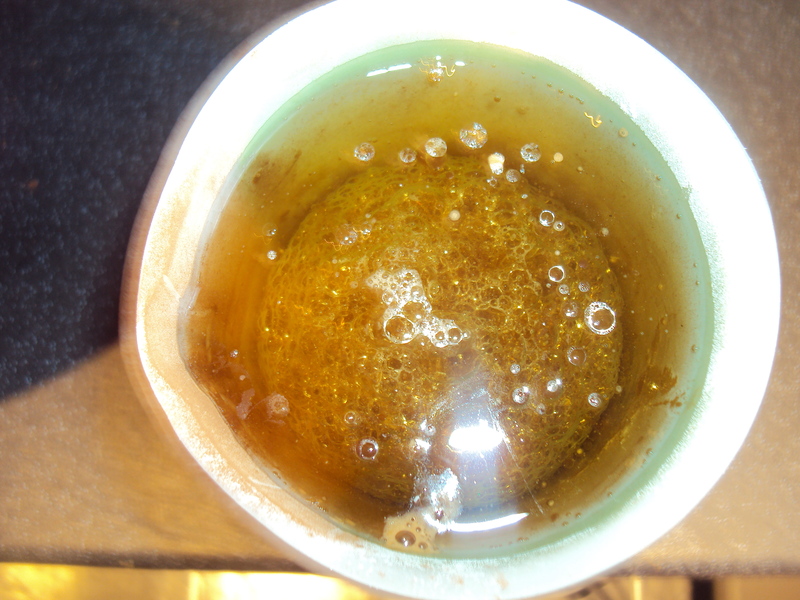 Mix the vinegar through and you will see the bubbles. It will smell of vinegar, but trust me, when cooked both the coffee and vinegar will be gone and replaced with chocolately loveliness! Pop in the oven for 20-25 mins and check on them with a skewer. When bouncy on top and a clean skewer comes out they are good to go. And voila! These sponges are great dusted with a bit of icing sugar, fresh from the oven, but, if you want some frosting you could use some of the vegan friendly Betty Crocker frosting tubs from your local store, or use my simple and tasty frosting recipe. 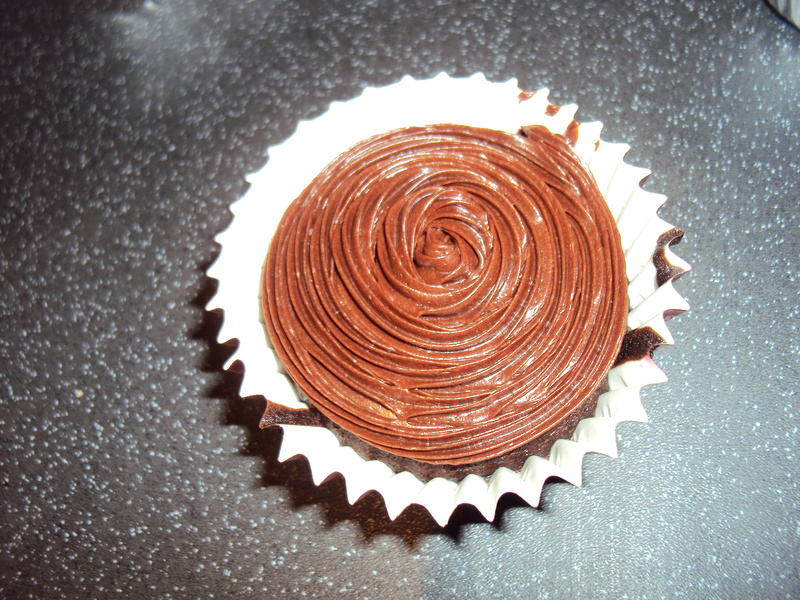 Just combine 80g of vegan butter ( I use ½ trex and ½ butter if I want icing with staying power) with 250g icing sugar/cocoa powder mix with a little flavouring and non dairy milk added in teeny amounts until you have thick, airy cupcake icing. 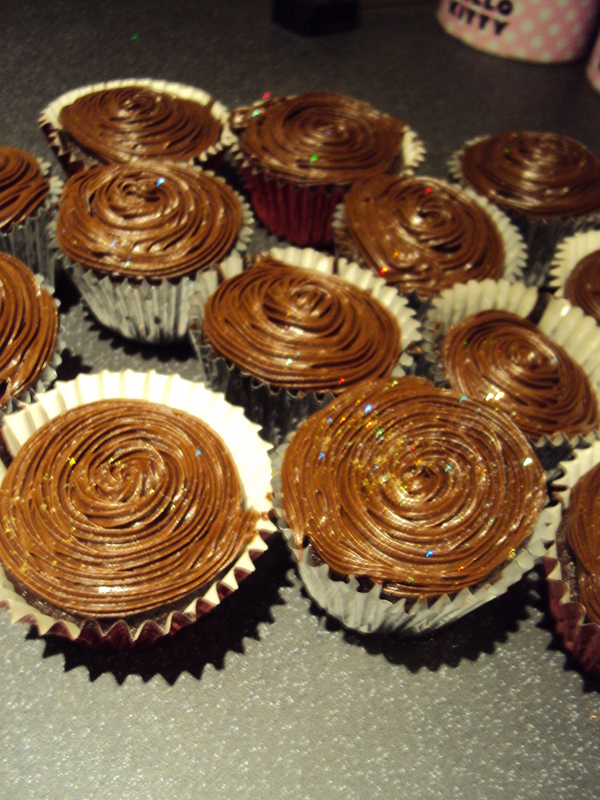 Once your frosting is on, with any extra sprinkles or glitter, they are good to go! Spread the vegan love, these cupcakes go down well with everyone – and most people are surprised to learn they are completely dairy and egg free. I also use this sponge for my larger, Ska inspired celebration cake – blog post coming soon!